General Mills concluded the closed creative review it launched this summer by naming three agencies to handle project-based work for its extensive brand lineup. Joan, Erich & Kallman and The Community will now join 72andSunny and Redscout on General Mills' agency roster. The latter two MDC Partners shops joined forces to win the U.S. agency of record review in late October. Joanne Davis Consulting led both review processes. 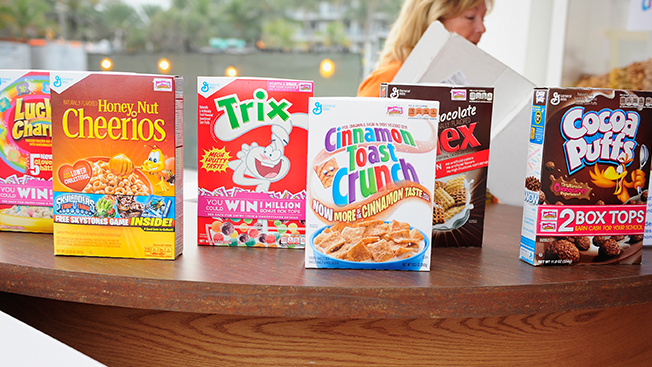 Moving forward, the 72andSunny/Redscout partnership will focus on large brands like Cheerios and Nature Valley while the just-announced trio will "work across General Mills' portfolio of brands as needs arise." All five roster shops will collaborate with the client's in-house unit, The Bellshop, as well as its media agency of record, Mindshare. General Mills, which is one of America's largest advertisers, follows other major corporate entities like P&G in consolidating most of its account with one holding company and picking a diverse lineup of smaller shops to handle assorted projects. "In looking to round-out our roster, we met with dozens of interesting agencies and were wildly impressed by the breadth of talent out there," said General Mills vp and chief creative officer Michael Fanuele, a veteran of Fallon. "The industry is teeming with small agencies of every variety doing really powerful work. We're very excited to work with these three agencies. We're confident they'll help us crack great creative work for our brands, and they'll do so with ambition and generosity." General Mills also earned attention in August for releasing a statement in which it indicated that future agency partners' creative departments must include 50 percent women and 20 percent people of color. Regarding its new agencies, a company representative said, "They have all exhibited a strong commitment to diversity. The objective remains having meaningful conversations with our partners to ensure they understand the importance of embracing this ongoing commitment to diversity." Joan and Erich & Kallman are newly-operational indie shops, while Miami-based multicultural agency The Community — which was formerly known as la comunidad and has an office in Buenos Aires — was bought by SapientNitro in 2014 prior to that network's 2015 acquisition by Publicis Groupe. "We are over the moon to be working with General Mills, the great American company dedicated to making food that people really love," said Joan co-founder and former Ogilvy executive Lisa Clunie. The agency has already been working on related projects for several months after announcing its launch in May with the food giant as its flagship client. "We look forward to getting a chance to help add to the next chapter of their incredible legacy," said Goodby, Silverstein & Partners veteran Eric Kallman. He launched San Francisco's Erich & Kallman in May along with former CP+B president Steve Erich and subsequently created campaigns for Chick-Fil-A, OneHopeWine and software startup Gusto. According to Kantar Media, General Mills spent $320 million on measured media during the first half of 2016. This total is in keeping with 2015, when it spent more than $715 million.